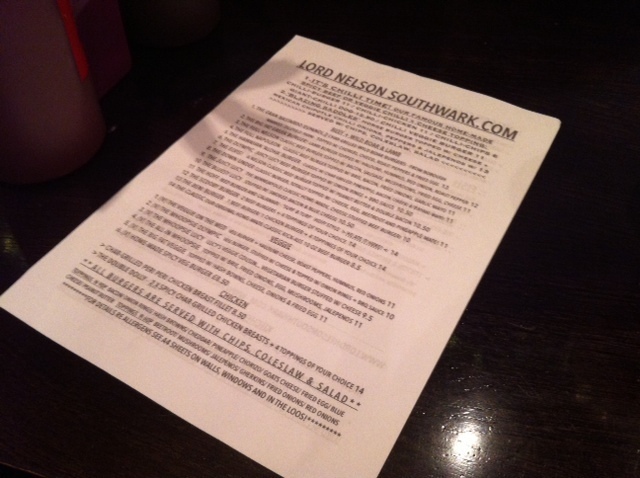 This pub was voted one of the best in Southwark by Londonist readers. 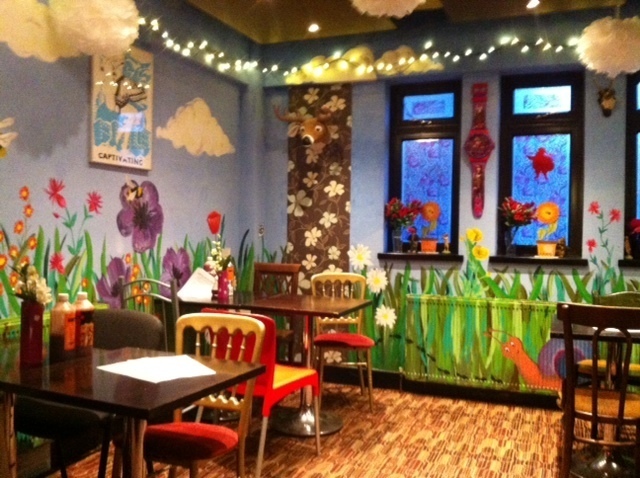 Anyone who remembers this place from a few years ago is in for a shock. 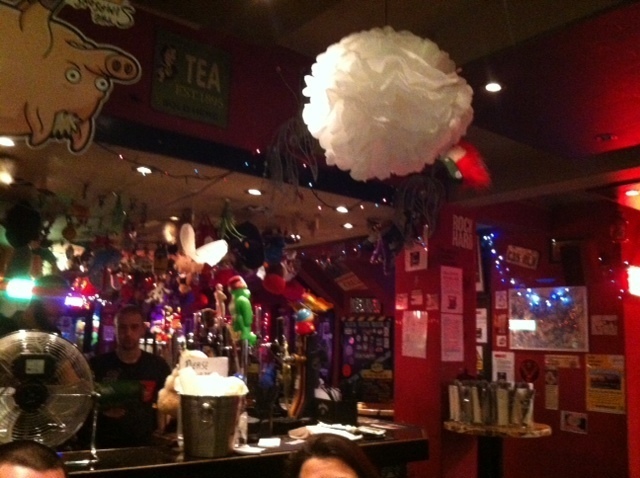 The former estate pub looks like it's been stormed by a bunch of students and decorated with every kitsch item they could lay their hands upon. 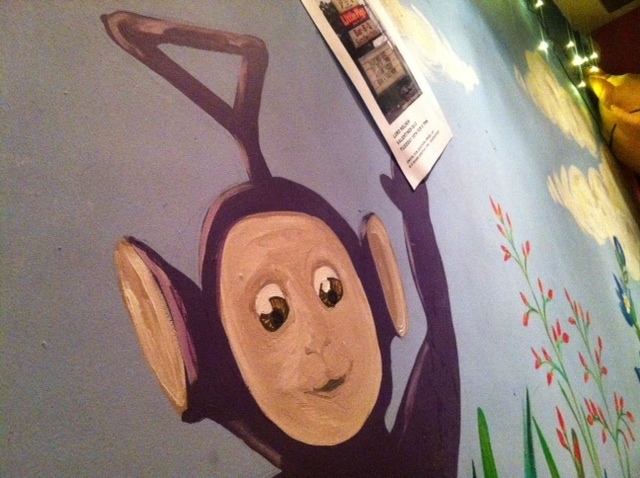 It's not just that the walls are covered in Teletubbies, fairy lights and gurning animals. 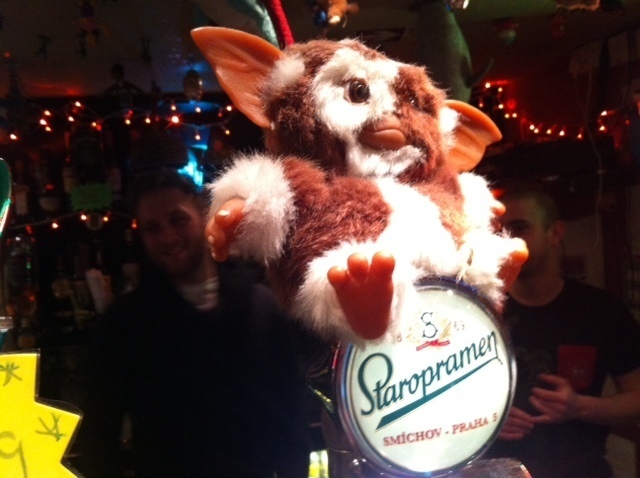 Even the beer taps are loaded with toys. You'd have to be a sour-faced goat indeed not to smile at the decor, though. 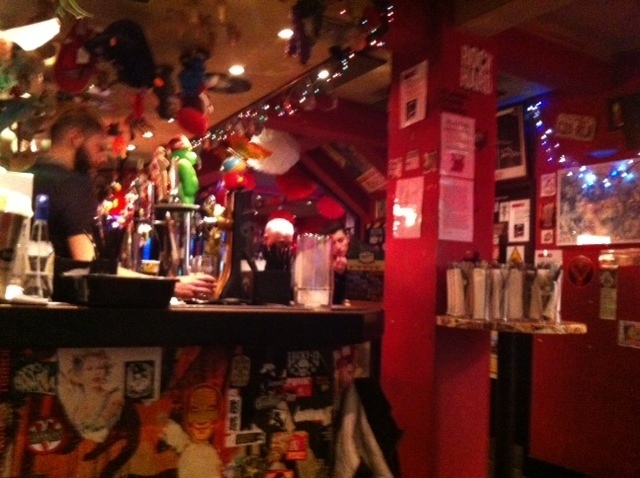 Drinks-wise, it's mostly kegged stuff, with plenty of lagers and Meantime, and cheap pints on Mondays and Tuesdays. The one draught ale is named Nelson, and we rather enjoyed it (don't order a half Nelson, or you might end up in a wrestling hold). 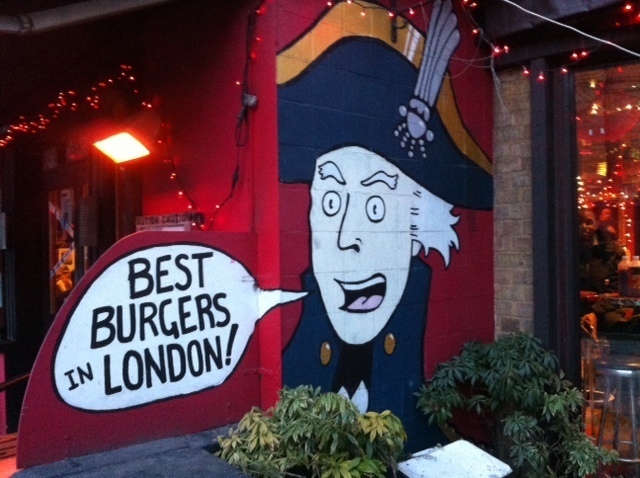 The major attraction of this place (assuming you're not here for the inflatable aliens and floral paintjob) are the burgers. They have 20 different varieties to choose among, including six veggie options. 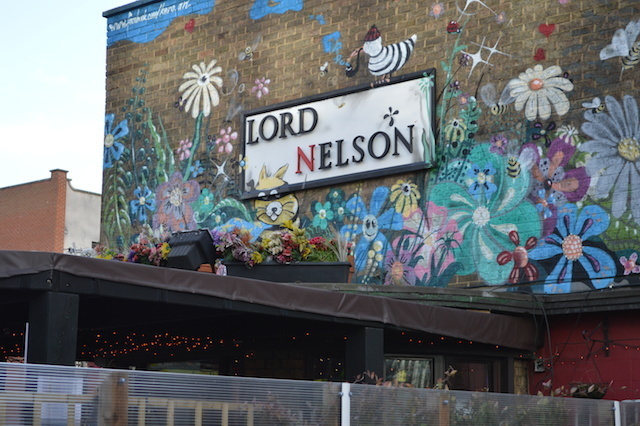 Part pub, part bar, part student union, the Nelson is a one-off, admirable admiral. Fortunately, they stop serving food well before midnight. 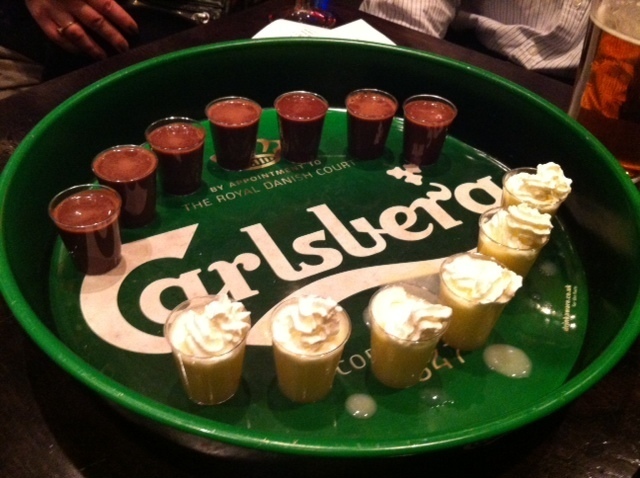 Chocolate shots versus lemon meringue shots. As celebrity endorsements go, that's not bad. One of the regulars, Ms T Winky.